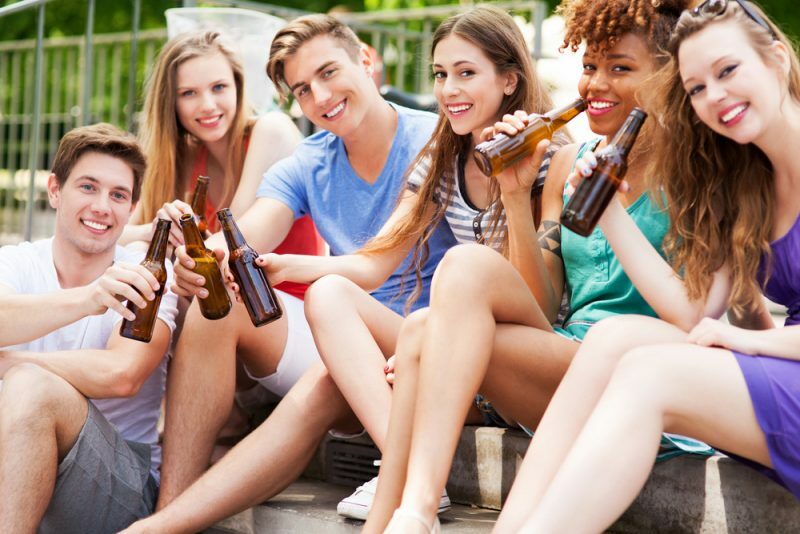 If you have a teenager, chances are great that they have or will be pressured to drink alcohol. So, it’s important to talk about this tough topic, if you haven’t already. When discussing alcohol, try not to preach or be judgmental. Acknowledge that your son or daughter may be subjected to peer pressure. While you may want your child to avoid alcohol altogether, that may not be realistic. So, if drinking may be in the cards, it’s best for everyone to know how it affects someone with diabetes and how to deal with it. First off, family and close friends should be aware of how alcohol consumption can affect someone who has diabetes. When a person drinks alcohol, his liver stops making glucose in order to clear the alcohol out of the bloodstream. For a teen with diabetes, this can quickly result in severely low blood sugar that can last up to 24 hours. It can be difficult for a teen to know when his blood sugar is low because it can have the same feelings of being drunk. Intoxication, however, usually doesn’t cause the shaking, sweating and rapid heartbeat that can accompany hypoglycemia. Drinking can actually suppress these symptoms. Therefore, the only way to be sure is to check his blood glucose. It’s also very possible to be both intoxicated and hypoglycemic at the same time. Line up help. He should designate someone who’s not drinking to help check blood glucose levels and treat lows as needed. Better yet, your child can offer to be the designated driver. Never drink alcohol after exercising. Check blood glucose levels before, during and after having a drink. Take insulin as needed. Keep glucose tabs or juice handy. Treat signs and symptoms of low blood glucose immediately. Signs and symptoms are similar to feelings of intoxication and include sleepiness, dizziness and disorientation. Wear identification, such as a “Medic Alert” bracelet or necklace, indicating diabetes. Make sure the alert is obvious. A wallet card or even an insulin pump may go unnoticed. Never drive if he’s been drinking. Opt for low carbs. Choose a drink lower in carbohydrates, such as light beer or dry (versus sweet) wine. Know that one drink is equivalent to 12 ounces of beer or 5 ounces of wine. Never drink on an empty stomach. Eat foods that include fat and protein (like nuts and cheese), so they’ll have a more lasting effect through the night. Avoid getting drunk. The key is moderation. He may be safe drinking a couple beers while hanging out with friends, regularly checking his blood sugar and taking his insulin. If it’s difficult to talk with your child about booze, set up a time for him to talk with a diabetes educator, physician or other healthcare professional with whom your child has a good rapport.